Chad Fowler (former Jazzman), gives a lot of little simple advices. Concrete examples that you can do daily to create a remarkable career. 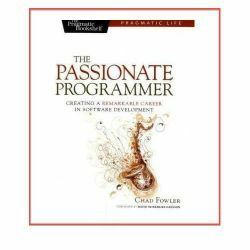 This is clearly a book for passionate programmer, but you could guess that from the title. I personally do not agree with every proposed solution, but most of them are interesting enough. My main problem is that if you follow every advice in the book, you have to be single and forget all other activities but IT. In conclusion, this is an excellent book. Easy and quick to read. Of course you need to nuance some advices. I think it is not very hard to be successful if you work 18h per day 7 day on 7. Work is only a part of the life, even if you find it important. The difficulty is to be successful enough and keep a social interesting life. Anyway this is the kind of reading that gives you the good ideas you always feel, but you do not know how to put it in practice. The experience of a successful programmer and how he manage to do it is always interesting.